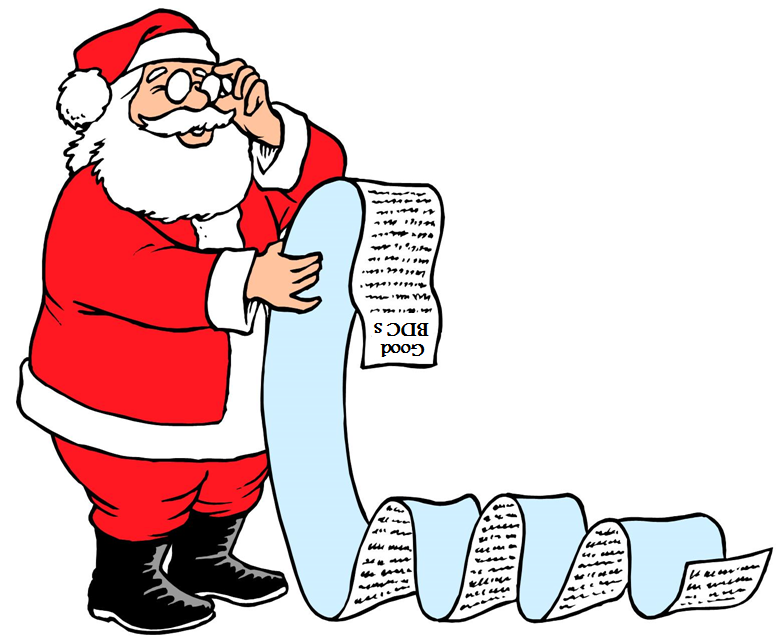 Stocking Stuffers: Discounted Business Development Companies? As predicted in my last few articles, there was a general decline in BDC pricing during the first two weeks of December. 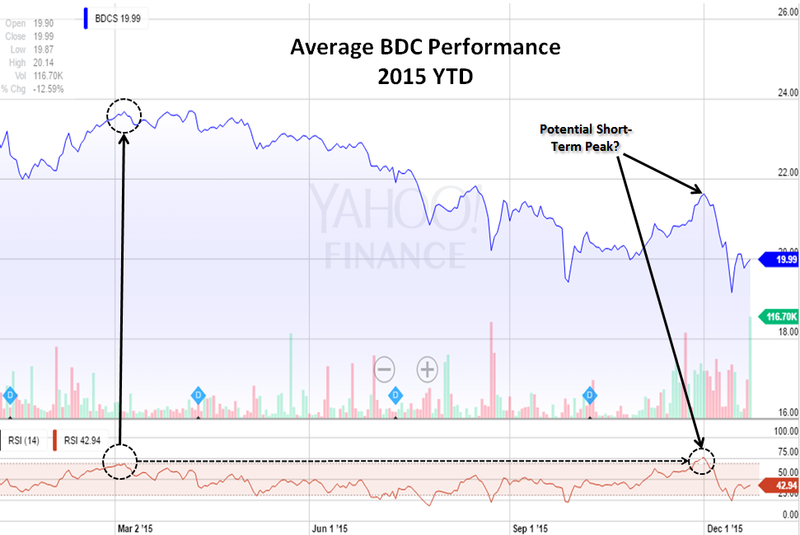 Investors should be prepared for continued volatility including a shopping list of potential BDC purchases. There is a chance that the recent uptick in pricing is a dead cat bounce which means there could be lower pricing in January. 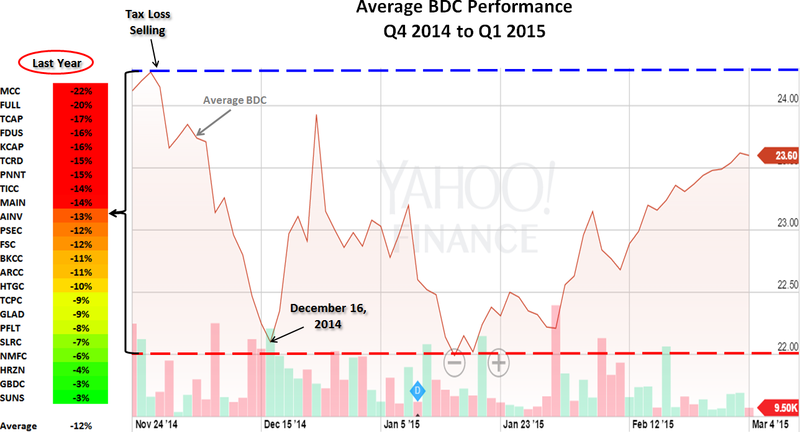 I am predicting a BDC rally in Q1 2016 and overall average returns of 17% in 2016. As shown in the chart below and predicted in "Tax-Loss Harvesting History for BDCs", business development companies ("BDCs") declined an average of almost 12% during the first two weeks of December. However, many investors believe BDCs were already "on sale" and the next two to four weeks could be good timing for last minute shoppers. The following table shows the current dividend yield and price-to-NAV ratios. When investing in BDCs, it is important for investors to keep in mind that these companies usually trade at a larger discount if there are good reasons including a potential dividend cut, net asset value ("NAV") per share declines, longer term credit issue potentials and most importantly, the quality of management. For example, KCAP Financial (NASDAQ:KCAP) recently announced its third dividend cut in the last two years. Other BDCs that have cut dividends in the last twelve months include Fifth Street Finance (NASDAQ:FSC), Fifth Street Senior Floating Rate (NASDAQ:FSFR), Prospect Capital (NASDAQ:PSEC), Medley Capital (NYSE:MCC) and Full Circle Capital (NASDAQ:FULL). All of these BDCs are among that largest discounted along with PennantPark Investment (NASDAQ:PNNT) and Apollo Investment (NASDAQ:OTC:AINV) that have higher oil related exposure. There are significant management trust issues with all of these BDCs (except PNNT and AINV) as well as with TICC Capital (NASDAQ:TICC) and I would suggest conservative investors steering clear of these companies as there are many others to consider at these prices. Obviously the top three quality internally managed BDCs are trading at the largest premiums: Main Street Capital (NYSE:MAIN), Triangle Capital (NYSE:TCAP-OLD) and Hercules Technology Growth Capital (NYSE:HTGC). There are many reasons for this as discussed in my previous articles. All of the externally managed BDCs that are trading at a premium or less than 10% discount to NAV per share have higher than average quality of management and portfolio credit potential. I recently purchased shares of Goldman Sachs BDC (NYSE:GSBD) and will be starting active coverage in 2016. Golub Capital BDC (NASDAQ:GBDC), TPG Specialty Lending (NYSE:TSLX), FS Investment Corp (NYSE:FSIC-OLD), Fidus Investment (NASDAQ:FDUS), TCP Capital (NASDAQ:TCPC) and New Mountain Finance (NYSE:NMFC) are the others among this group. However, there are some higher quality BDCs trading at larger discounts to NAV including Ares Capital (NASDAQ:ARCC) and many others that I will discuss in upcoming articles. For 2016, I think we are going to continue to see bifurcation among lower and higher quality BDCs based on quality of management and potential portfolio credit quality. However, general BDC prices have plenty of negativity and risk priced in, which could lead to continued investor activism and increased institutional ownership. I believe this combined with more BDCs following suit of reducing and aligning management fees, as well as favorable pricing on new investments, could lead to higher margins and net investment income growth. All of these factors will likely drive higher multiples, dividend coverage and returns to shareholders. I believe the S&P 500 will be flat to down in 2016 as compared to BDC prices that will more than likely be up at least 5% as discussed in this Forbes article "More Activism Likely In 2016 As BDCs Grow Up" on top of the average dividend yield currently averaging 12.1% for the 40 BDCs that I follow. When should we buy more? Good question. I'm a slow and patient buyer, in small increments, during most pullbacks. Last year, BDCs were also down around 12% during the first two weeks of December followed by a dead cat bounce before rebounding in Q1 as shown in the chart below. Investors should either be buying now or waiting to see if this is just a bounce. If you are interested in more information on BDCs including my current positions and potential buys, individual dividend coverage potential, rankings (risk, return, pricing, dividend potential), target pricing charts and valuations, and suggest BDC portfolios, please see my "BDC Research Page" and for information on specific BDC pricing, total returns, operating expenses and dividend coverage, please visit my "BDC Pages".